Think. Grow. Eat. : Happy Valentines! 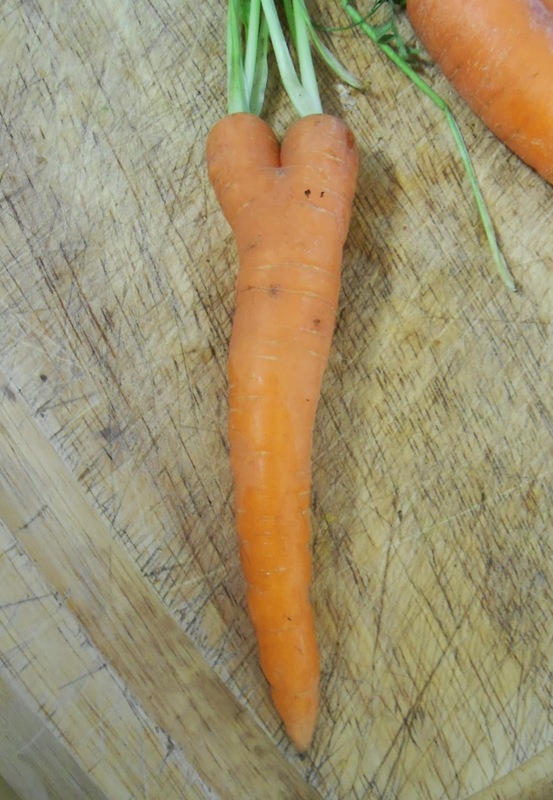 We wish you love and peas from all at Tawny Oaks this February! A vast amount of time seems to have passed since I last posted from our corner of the world, so I think we need a catch up! One of many beautiful views at Ragmans Lane Farm in the Forest of Dean. I am currently away from home teaching permaculture design at www.ragmans.co.uk with my colleague Patrick Whitefield. Once again we have a lovely group of enthusiastic, intelligent and open-hearted students, who are a pleasure to teach and spend time with. Ragmans Lane Farm has a new group of growers who are reestablishing a market vegetable garden, which is an exciting addition to the other great things that happen here, including 'beyond organic' orchards for their delicious fruit juices, to Steve Pickup's wonderful willow structures. A very inspiring place to be, and, especially when the sun shines (between downpours at the moment) a very beautiful one too. The autumn saw a very good mushroom harvest from our local woods. 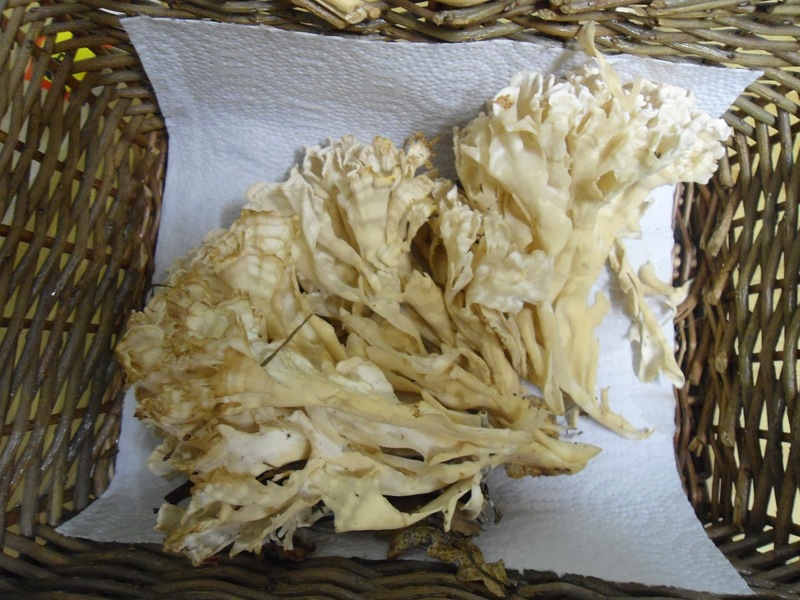 We had bountiful collections of chanterelles, ceps, hedgehogs and cauliflower fungus (pictured), which we made into a deliciously simple pasta dish. I fried some onions, courgettes, peppers and bacon in butter and olive oil, then as they softened I added some crushed garlic and continued until the vegetables began to brown. I then added a little more butter (not a low-cholesterol meal this one!) 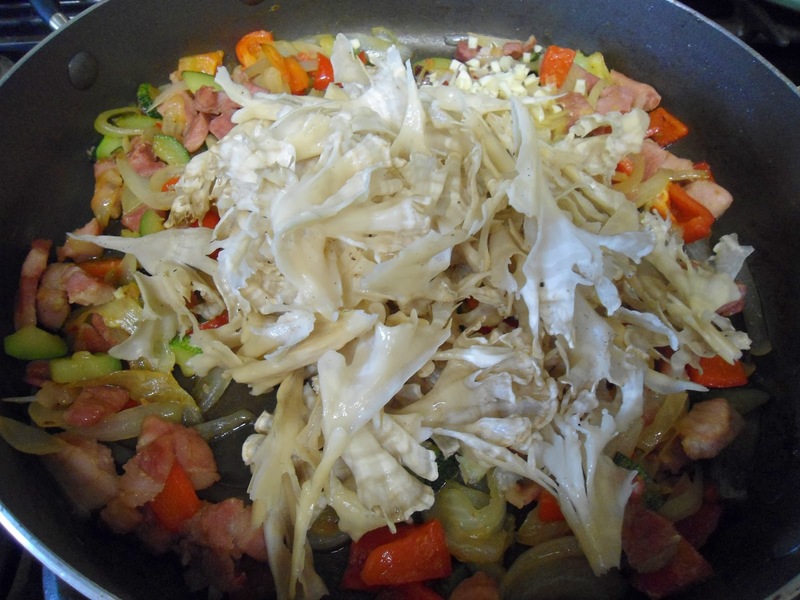 and the cauliflower fungus and continued frying on a low heat until the fungus began to soften and become glossy. 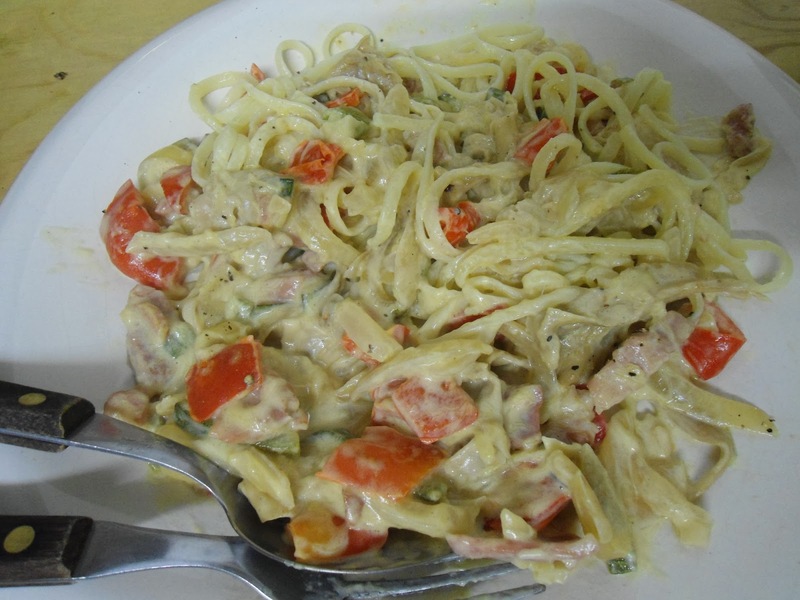 Finally I stirred in some double cream (as I said.....) and mixed in some hot, freshly cooked linguine before serving. As the hungry gap rolls around and the annual vegetables are becoming more scarce, I am reminded of one of the many benefits of growing perennial food crops. 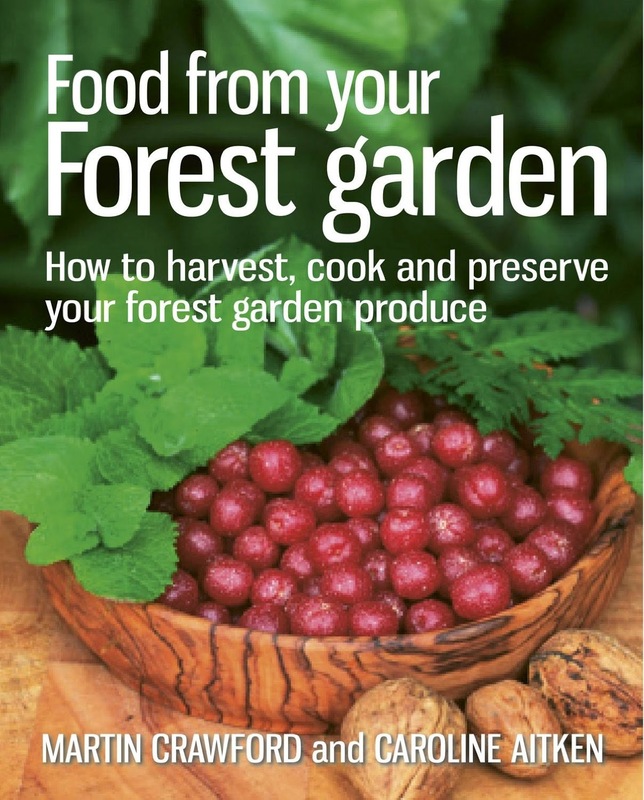 Looking around the garden there are new green shoots appearing all over the place, and in my article on the Permaculture Magazine website I explain how a forest garden can bridge the gap and not leave you hungry in the springtime. Hop shoots with lemon butter and capers. We had our first honey harvest from our new hives in the autumn. We have two 'top-bar' hives built according to Phil Chandler's design in his wonderful book 'The Barefoot Beekeeper', and were lucky enough to have his help with moving and resettling the colonies that we rescued from the crumbling hives we inherited when we moved in. We now have a couple of really strong and rather feisty colonies that seem to be happy with their hives and with the foraging plants in the garden. We have a good selection for them: blackberry, rambling rose, melissa and other herbs, a long succession of wild flowers like primroses, snowdrops and bluebells, and of course all of the fruit trees, vegetables and ornamentals. For information about forage plants for bees have a look at the 'help the honeybee' website which is packed with information about all aspects of bee keeping and bee protection. Another busy-bee around the garden of late is our son, Robin. Living up to his name he is never happier than when he's foraging for worms amongst the undergrowth! He's so keen to be in the garden that we have to be very quick when opening the back door to stop him charging out in his socks. I'm looking forward to the summer when he can be totally free range, but in the meantime we put him in his puddle suit (an all-in-one cosy waterproof which I am rather envious of) and his green wellies, and off he goes! Now that spring is here it's time to translate all of our winter planning into action. We have lots of exciting plans for this season which we can't wait to get going with. We have just put a clearance mulch down on part of our forest garden site and will soon start raising and ordering plants and cutting to fill the space in the winter and following spring. We have 2 new growing beds which we created last summer with a 3 layer mulch, which will be ready to grow our root veg in this year. 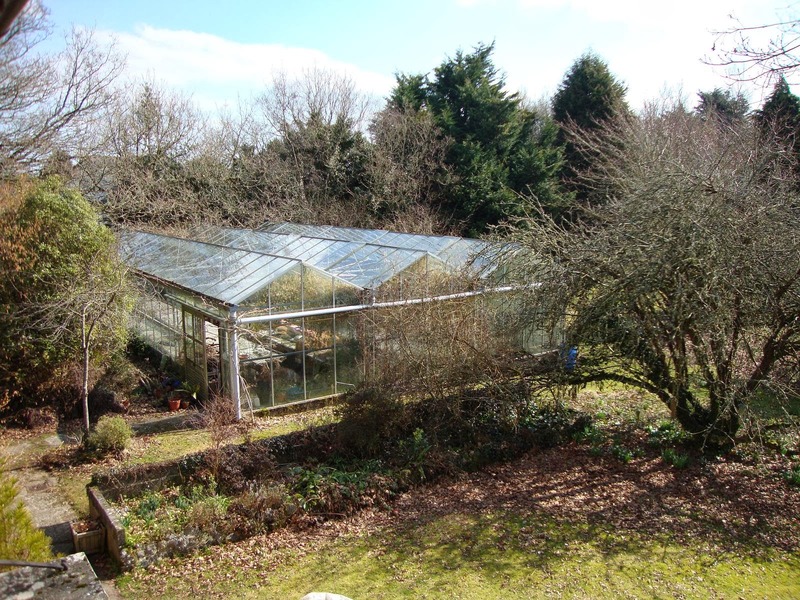 Our big plans for our largest glasshouse will commence with the building of a permanent raised bed around 3 of the sides, into which a range of fruit trees will be planted including nectarines, lemons and grapes. It will be wonderful to see this magnificent space used to its full potential. To help us with these various projects we are always looking for volunteers who are willing to learn and share any skills they may have. We are WWOOF hosts and we take volunteers between March and October every year, so if you'd like to come and stay please see the 'Contact' page and get in touch, or see the WWOOF website for details about joining.